On Sunday past, 25th May, the 1916 Societies gathered in the heart of East Tyrone, with the McCaughey Suite in Galbally Community Centre playing host to our inaugural Spring Conference. Invited guests including D-Company Lower Falls Belfast and several independent community activists and republicans joined over 100 delegates from all across Ireland to debate the theme ‘Self-determination and Sovereignty – 2014 and Beyond’ and how our One Ireland-One Vote campaign can take sustenance from other struggles for independence currently ongoing in Western Europe and the wider world. In what proved a highly instructive event all in attendance came away with a renewed conviction that the Irish struggle, while having suffered a serious set-back under the revisionist consensus carved out since 1998, was still an ongoing matter for the people of Ireland to carry through to its ultimate conclusion. 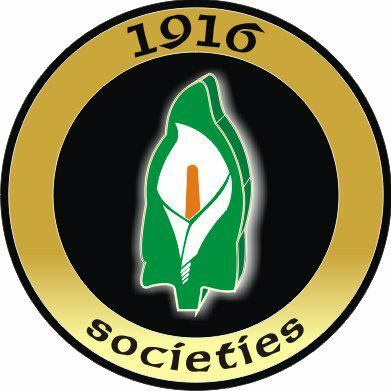 We in the 1916 Societies go to see that struggle re-born and re-energised, to build the structures and arguments required to finally bring about a full British withdrawal from Ireland and the reunification of our country. The sovereign republic remains our bottom line and we will not rest until it is established. Jim Slaven from the James Connolly Society Scotland took the audience through the Scottish referendum campaign, its highs and lows and the limitations placed on the referendum itself by the controlling hand of Westminster and its agents of influence. At pains to point out that the ‘Yes’ campaign was far from the perfect example of how to approach the idea of secession he outlined how great care should be taken when constructing a referenda-based strategy in that state strategies to negate any revolutionary potential there-in will be employed to control outcomes as far as possible, even to the extent of facilitating an entirely new set of political arrangements, themselves open to continued manipulation and control by the British state in other forms and guises. There is much to take from this, not least a need to ensure republicans at all times retain control of the political process, at least to the extent they are prepared to participate in it. Any proposed referendum must be the property of and answerable to the sovereign people alone, as opposed to any external agency, government or state – particularly Britain or those allied to it. For us to succeed we must be self-sufficient and only form alliances with those willing to reject the controlling hand of the British state and its proxies. Who controls any proposed referendum is key to any such project. Eudald Vilanajo, a Barcelona-based activist for Catalan independence, offered advice on building the One Ireland-One Vote proposal, drawing extensively on his own experiences with the separatist movement in Catalonia. Outlining the various strategies and campaigns employed in the region’s long struggle for independence a persistent point of reference was the need to become a community-based entity and to return Irish republicanism to the people it purports to represent. This concept was pressed home again and again and again. Many of those present hold such a strategy as necessary to any effort going forward to rebuild republicanism and view the Catalan example as the benchmark for any attempt on our own part to bring about a credible referendum on Irish reunification. For the republican movement to achieve success it must return to its roots and those without whom it could never have survived through the hard years it has come through – the Irish people. For One Ireland-One Vote to become a meaningful avenue to pursue the republican struggle it must be an expression of the people and their political demands and ideals at the local, national and international level. Rounding off the contributions Galbally man and local republican stalwart Plunkett Nugent gave a descriptive analysis of how the mechanisms for constitutional change contained in the 1998 Agreement locked-in partition while creating the type of revised dispensation capable of reconciling once-resistant elements to the state with the architecture of the state itself in new form, a concept Jim Slaven had referenced earlier. That we must vigorously oppose this and any claim of such a dispensation to possess the legitimate template for constitutional change in Ireland must surely be the mainstay of our efforts to build One Ireland-One Vote. We must be beyond that state and never beholden to it, in whatever form it might take. The idea that British laws passed in 1998 somehow have any more authority over the Irish people than those that went before them should be rejected and the demand for the right to determine our own sovereign destiny instituted in their stead. Any law based on the suppression of democracy is no law. Echoing much of that already suggested, an incumbent need to rebuild and re-energise the republican struggle through resort to the people was identified as the key to moving forward, with One Ireland-One Vote offering a vehicle to achieve that end. Such a template is viable and it is there for us to hammer out together. Moving forward much can be learned from what was a highly successful event, with those present coming away with vibrant optimism that republicanism can still have an important role to play in the struggle of the Irish people to find a better way for themselves and the generations to come. Returning republicanism to the people is central to that. Creating a grass-roots movement beyond the reaches of the state and capable of re-mapping our struggle demands of us all a re-engagement with the key tenets of republicanism as understood in both the Irish context and by the international philosophy in which it finds its origins. A republicanism centered on its people. We contend that One Ireland-One Vote and the campaign for an all-Ireland referendum can offer a positive force to speed that end. Such a campaign would give voice to the legitimate demands of the sovereign Irish people for a British withdrawal and the reunification of our country. This is and always has been the republican position and the democratic wish of the Irish people is on record and should be respected. One Ireland-One Vote can give renewed voice to that demand and help build the necessary dynamic required to finally achieve freedom and independence for our country in all its parts. An all-Ireland referendum now! Let the people have their say!